Just a few weeks left for this summer - book it now before they are gone! 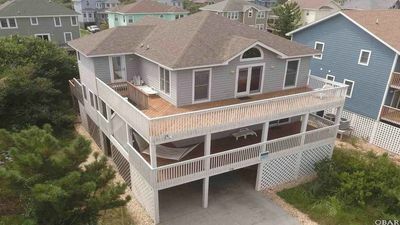 This well-equipped home at the Outer Banks is the perfect place to get away with your family and friends and take in all the beauty this natural area offers. 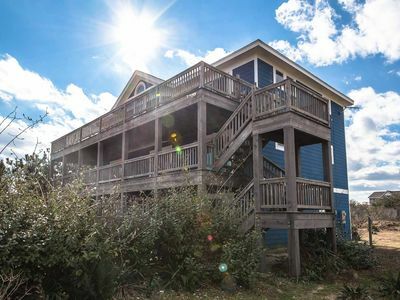 Enjoy the sun and surf, as well as two kayaks, crab pots, private pool, hot tub, billiards and expansive decks. 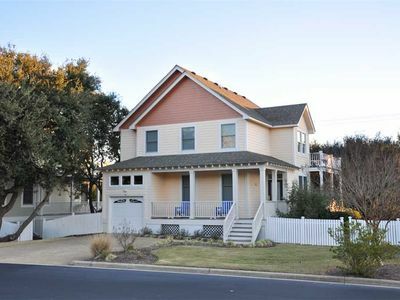 Our home features 8 bedrooms including 7 en-suite bedrooms that multiple families can enjoy. You will love seeing the many wild horses roaming the area during your stay, often even in your own yard! 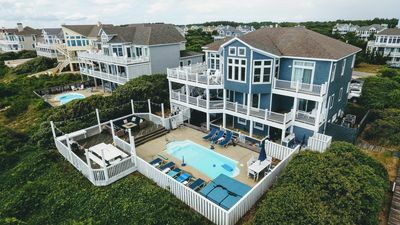 We run our rentals Sunday to Sunday to start your stay here at the Outer Banks with far less traffic than a Saturday to Saturday rental incurs. Sitting in traffic can steal hours from your vacation! 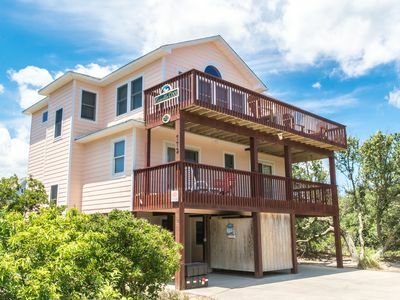 Our 'Pet-Friendly' home is located in one of the few secluded beaches left in America. Wild Spanish Horses roam free in this very special place on earth. This unique stretch of beach can only be accessed by a four-wheel drive vehicle. 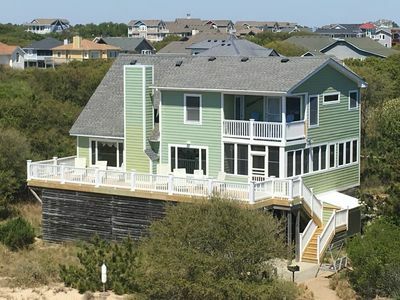 Our beach house sits 8.5 miles from the pavement in Corolla Beach, NC. This drive will take you about 30 minutes depending on conditions. 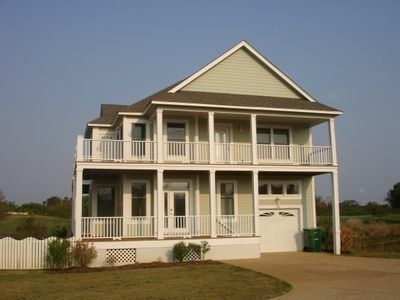 Our home is canal-front and can also be accessed by boat via bulk-headed dock and boat ramp. 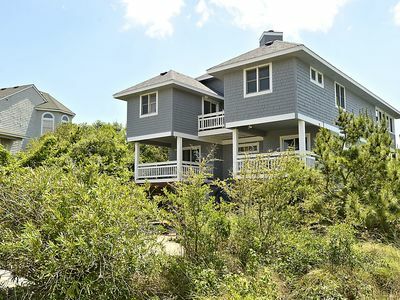 It's only a 1500 foot walk to the beach or a 2-minute drive. We love driving to the beach, setting up tents and grills, and staying all day! 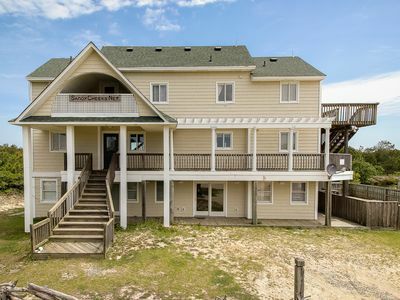 Our house has ocean views from the third floor. 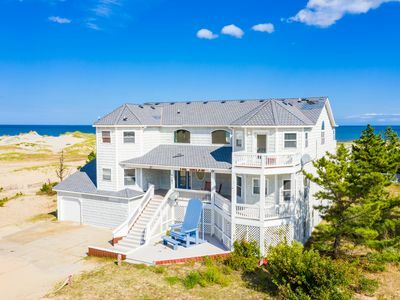 CNN rated Carova Beach number two in their Travel Webpage of the '10 secret beaches worth discovering' and continues to keep it at the top of the list! Visit WWW.SANDYCHEEKSOBX.COM to view more pictures and get more info. Level 1 : Game-room with 8' Pool Table and full bath with Jacuzzi whirlpool. Kitchenette equipped with dishwasher, microwave and full-size refrigerator. 1 BR w/ Queen and Twin beds; fully handicap accessible bathroom with private entrance. 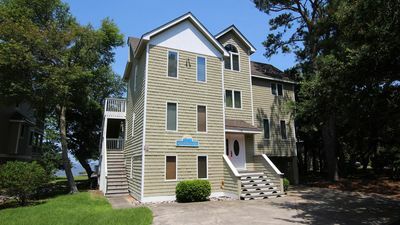 1 BR w/ two Twin over Full Bunk Beds. Access to private optionally-heated pool and brand new hot tub; screened in porch with ambient lighting, private outdoor shower. 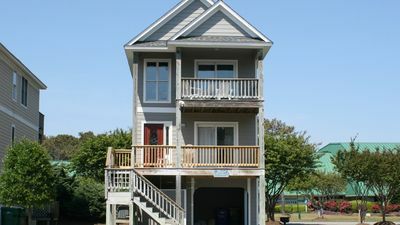 Level 2 : 2 BRs (both have Queen beds and full baths). Great Room. Sliders to covered decks. 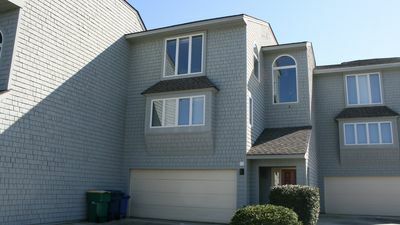 Updated kitchen with granite counter-tops, stainless steel, Keurig and drip coffee makers, Internet TV! Level 3 : Four BRs (K, Q, Q, Q all with en-suites). HE Front loading washer & Dryer. Private balcony facing canal. 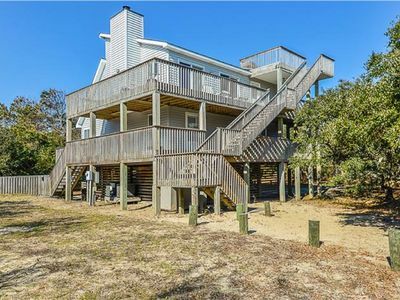 Access to large decks with Ocean Views! 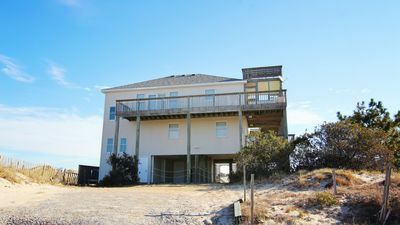 Extras : Boat ramp and dock, two kayaks, crab pots, multiple TVs/DVDs, two BluRay Players, Internet TV, washer & dryer. DirecTV, Free U.S.long distance calling & Free WiFi. 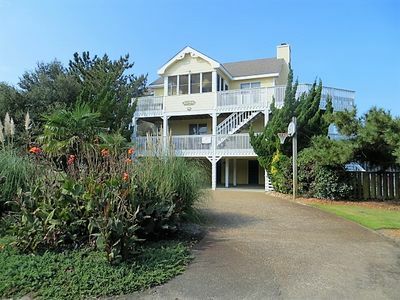 OCEANFRONT Corolla-9 BDRM(6 Mstrs)Pool, Fire Pit, Steps to beach, beautiful! 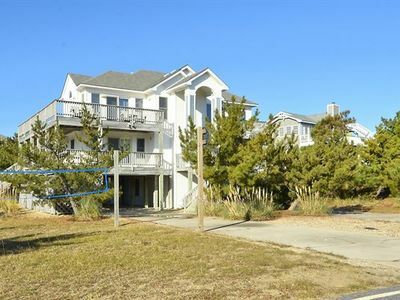 Sea Note: Pet friendly, comfortable 4 bedroom home in the Currituck Club. C7172 Corolla Cool. 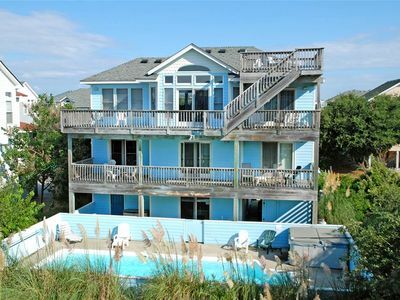 Pool, Hot Tub, Ocean View, Direct Beach Access, Linens! C9068 Tern & Stumble Inn. 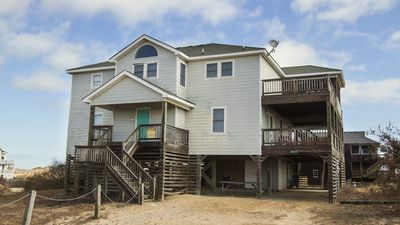 4x4 Area, Wild Horses, Pool, Hot Tub, Pets OK! 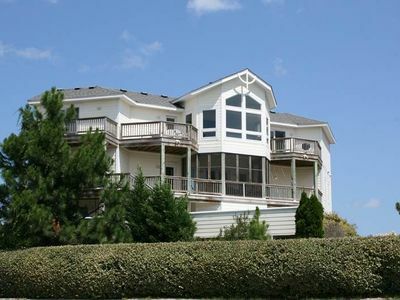 Oceanside - Only 550 feet to beach access! 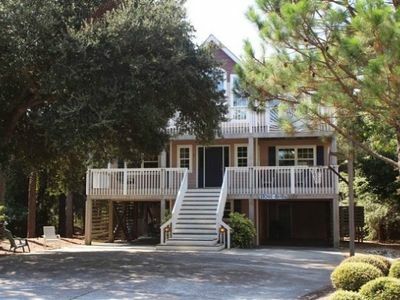 16x32 Private pool, hot tub and Game Room!